John B. Gorrie Elementary, originally known as the Hyde Park Grammar School, is believed to be the oldest operating school in the state of Florida. An original wood frame building opened with two classrooms and one teacher on the corner of Platt Street and Magnolia Avenue in September 1889. Hyde Park was growing rapidly during the later part of the nineteenth century, and in 1903 the school was relocated to a new brick building the Folk Victorian style and featured a cupola. The new school, fronting North Boulevard with eight classrooms, was the first brick school building in Tampa. Two hundred and forty students were in the first class when the new building opened. 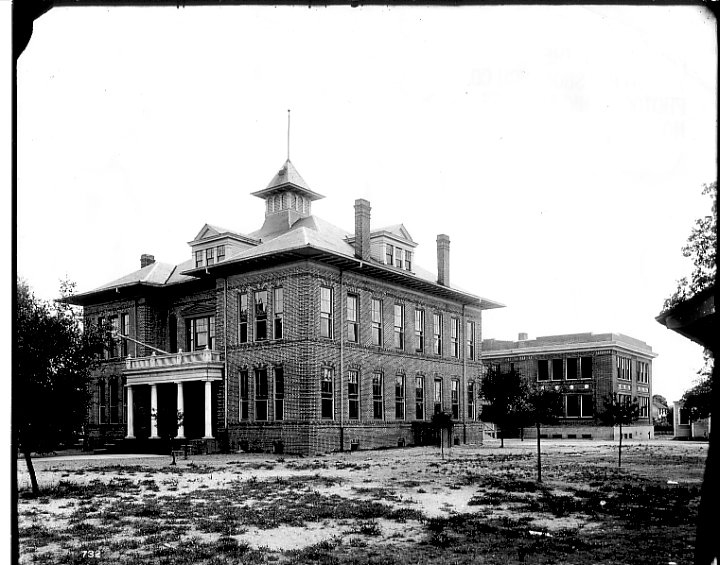 The school continued to grow, and in 1912 a second brick building was built east of the 1903 building. The new building boasted a basement with indoor toilets, classroom fireplaces, and cloakrooms. In 1915, the school was named the John B. Gorrie Elementary School, in honor of the Florida physician who invented the ice-marking machine. The school has been in active use since 1889, and the campus has been renovated and expanded over the years to serve the educational needs of the community.